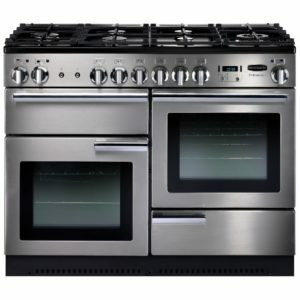 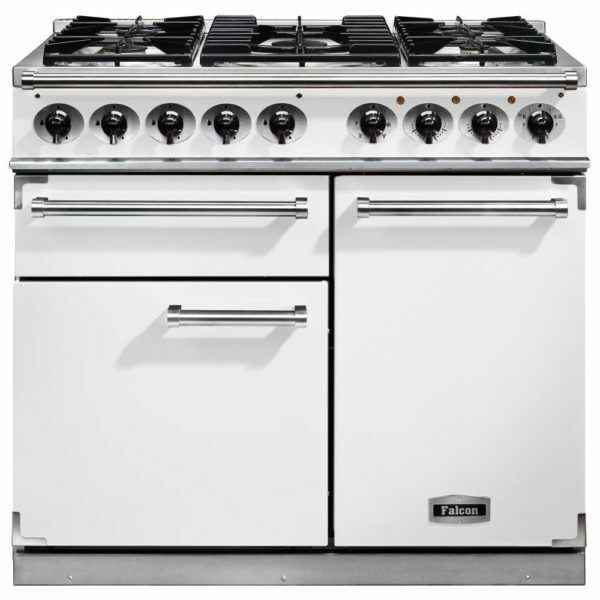 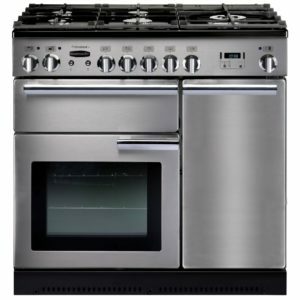 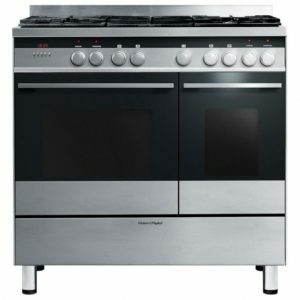 Be impressed by this Falcon 1000 Deluxe dual fuel range cooker. 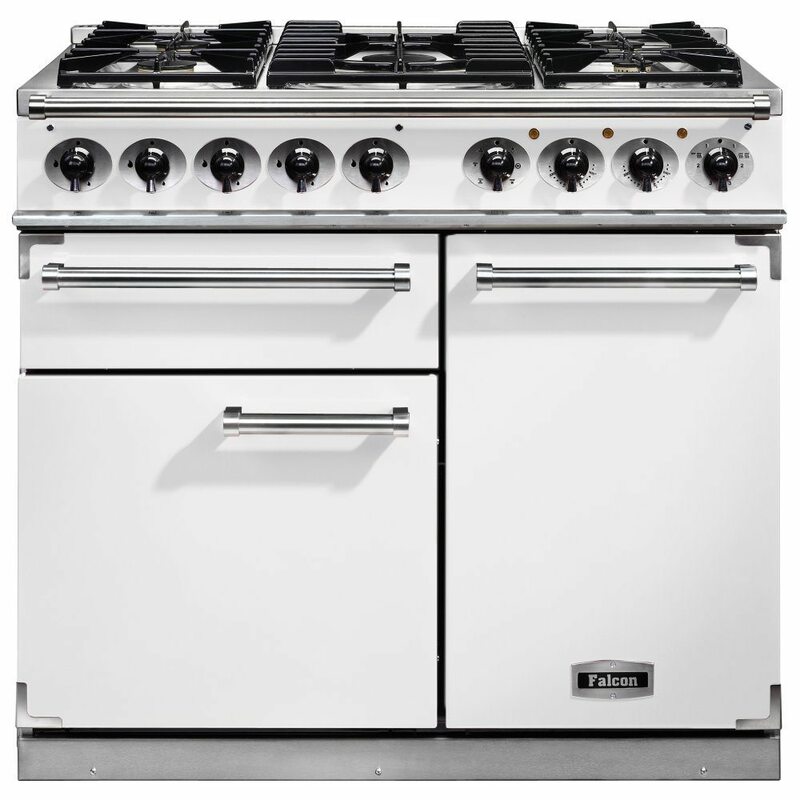 Not only stunning in white with nickel trim, but with a huge amount of features. 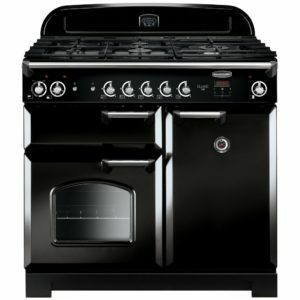 With a generous capacity multifunction main oven, secondary tall fan oven and a separate heavy duty roll out grill you can roast, bake and grill to your specification. 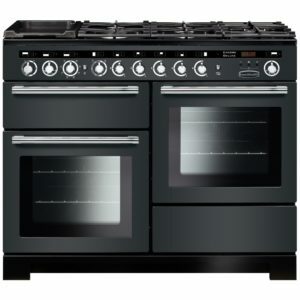 The five burner gas hob provides amazing power and further flexibility.